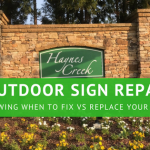 So you want to install new signs for your business? 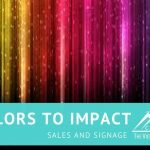 Many businesses have great ideas for signs to attract new customers only to find out that their designs don’t meet local sign ordinances. When purchasing outside signage for your facility it is important to keep in mind that each governmental jurisdiction you are dealing with will require different information for you to get a permit. In the Atlanta market, we deal with close to 50 different government entities and each one is a little different. No matter how different they are there are some commonalities as to what they are looking for: If you are dealing with a situation where you have this information and you still don’t meet the basic requirements written in city or county code, you need to go one step further and apply for a sign variance through the appropriate government agency. Its not impossible to get a variance, but you will need to justify your request. 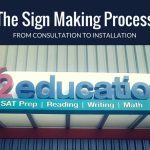 Working with an experienced sign company to help you through this process is key in getting your variance approved. 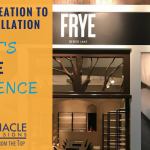 Many sign companies, including Pinnacle, have experience in the appropriate details necessary to explain the need for your company’s sign to be outside the standard guidelines. These variances can include anything from lighting to sign size based on a government by government basis. Once you get past all the basics of the sign ordinance, it is important to remember that your landlord may have their own specific requirements. Suffice it to say, unless you’re an expert in the field you may want to hire a sign professional to help you out. If you need a professional rendering or just have questions about how to get your message across while working within sign guidelines, give us a call.